Now that’s a real happy pose outside the DSA test centre Derren; and I should think so too! Super job done there, a nice ride round Sussex followed by the DSA examiner, how difficult can that be on a lovely day like today? 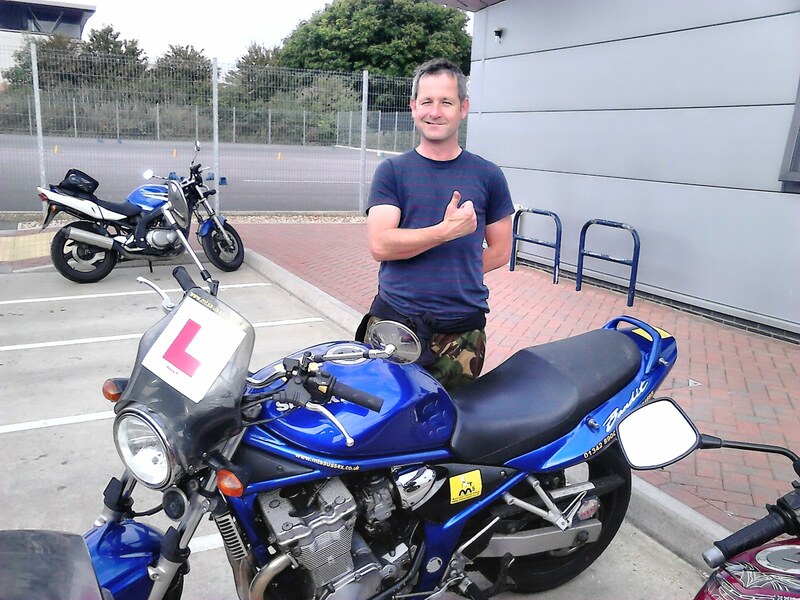 So full DAS licence well erned-now go and enjoy that bike of yours!